An account of a night in 2009. It’s 3am. I just got home. On the way in through the kitchen, out of habit I loped toward the cabinet above the sink to take my nightly cup of water to my room when I remembered I was completely sober and I could stand up straight and calmly reach for the cup of my choice. I’m moving to LA in January so I’m going to try to actually journal these last few months as a New Yorker and Upper East Sider. Went to Lefferts Gardens to have jewelry photographed by Alex Crowe. Got on 5 train going home, ran across platform at Atlantic Ave to get 4 train thinking it would be faster, got absorbed in the free Metro paper (yesterday’s weirdly having been guest edited by Richard Branson), arrived at last stop in wrong direction, Crown Heights. Had to take 4 all the way back to 86th Street, got very far in Metro paper because I was afraid to play boggle on my iphone because of all of the recent iphone muggings, especially because of the hypodermic needle mugger even though they caught him. Still finding great architectural details. 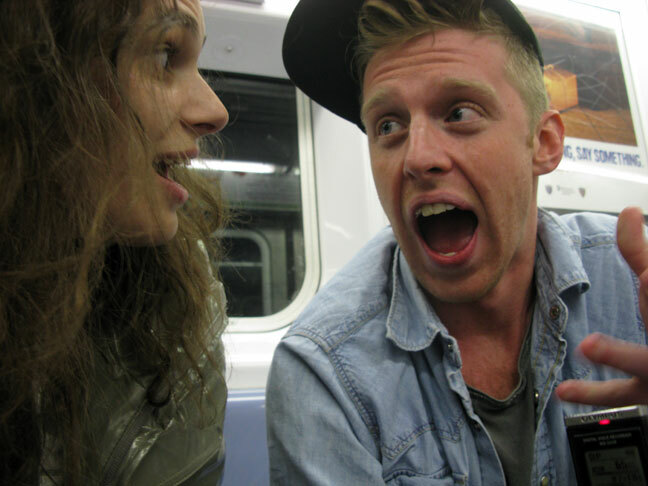 Setting: 3AM, 6 train from Spring Street to 86th Street. Probably the fourth time I’ve run into Alden a.k.a. 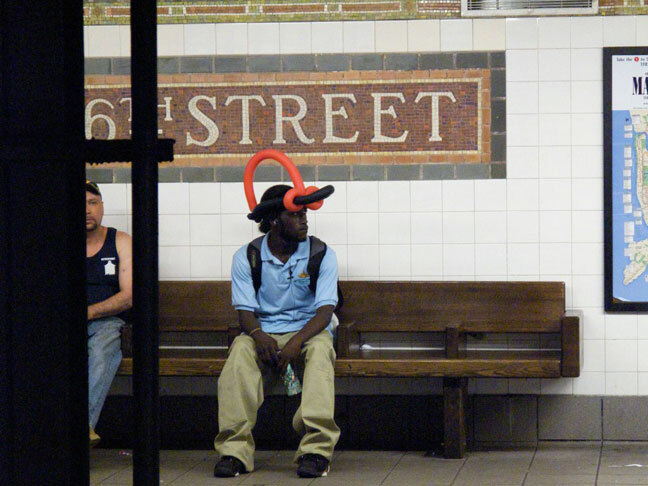 Karim Fonda from Team Facelift on the subway in the middle of a weeknight. Me: What are you working on now? Alden: Right now we got an album coming out on Duck Down Records. (((At this point a guy standing near us waiting for the subway chimes in that he’s heard of Duck Down and we talk to him for a minute.))) We got Junior Sanchez who’s sort of a legendary New York House guy to executive produce it and I’m also working on a project with a chick named Tigga Galore on some voguing music. Me: What do you mean by ‘voguing’? 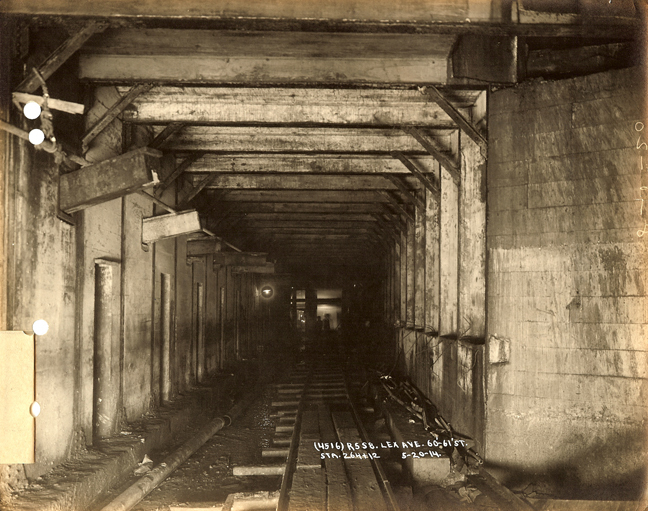 Under 60th and Lex, 1914. 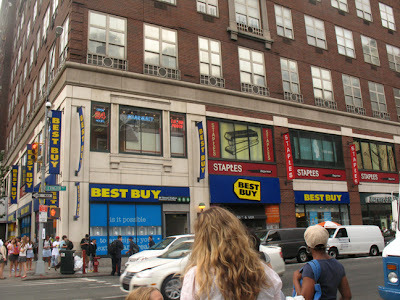 During the 1990’s HMV was the major local record store, located on 86th and Lex. 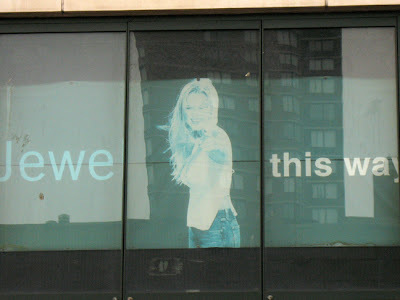 Like most giant record stores, new releases were promoted in the windows. 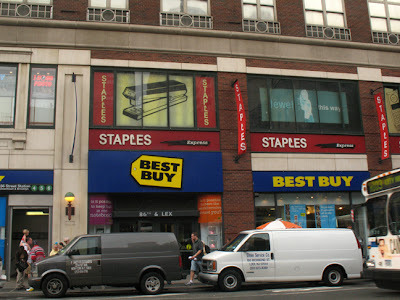 Several years ago HMV closed and eventually Best Buy opened. Amidst the shuffling of businesses in 1278-1280 Lexington Avenue which now houses the equivalent of a very convenient strip mall (Duane Reade, Best Buy, Staples, Barnes and Noble, Starbucks) one window of prime advertising space seems to have gone forgotten. Although I would love to put something else in that window, I mean, if no one else is going to use it, I can honestly say that seeing that banner for 6 years did not get me to buy the album.